Constructing a home? Want to complete its contemporary and cutting-edge look? 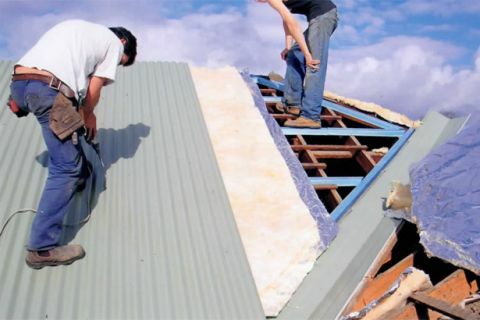 At Roof Specialist, we’ll install a high-quality roof made of Zincalume® or Colorbond® steel in any new home. These products are some of the most reliable, long-lasting and insulating materials you could have making up your roof, and we’ll install them quickly and affordably. If you’re already got a roof made up of these cutting-edge roofing materials, then we’re happy to provide the best roof repairs in Bayswater. We can patch up any steel roof in absolutely no time and for a much more affordable price than many other roofing companies offer. Get yourself a free quote: ring us at (03) 9038 8110 today.